As a follow-up to the previous highly rated session, this session will deep dive into all the relevant features of enterprise development pertinent to an open source developer. It’s no surprise that one in three Virtual Machines in Azure run Linux. In fact, over 60% of the images provided by our application partners in Azure Marketplace are Linux-based and chances are you are running applications on top of Linux as well. Which applications are a better fit for the cloud, and what are common use cases and patterns for them? 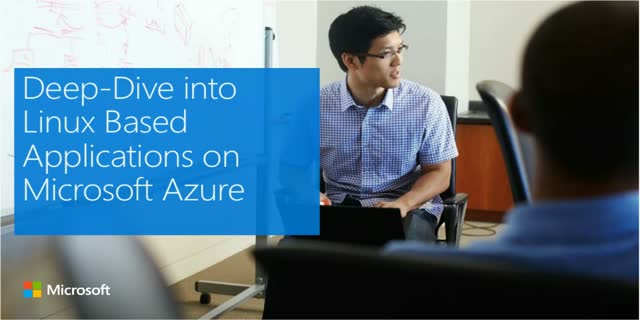 How can Azure provide a first-class experience for your Linux-based applications?  How Docker, LAMP, Gluster, JBoss, Hadoop and MySQL enterprise-grade applications running on top of Linux can benefit from Azure.  How Azure offers you a hyper-scale, open and flexible cloud platform that adds value to your existing investments.  The powerful architectures made possible with Azure Resource Manager and more.